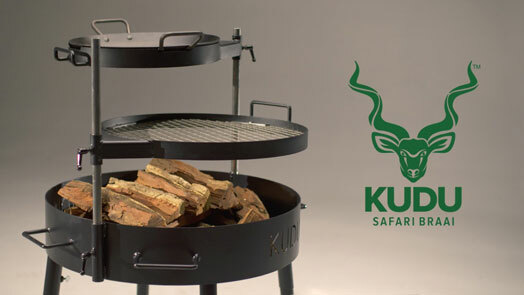 Meet the KUDU: a multifunctional grill, griddle, and firepit that lets you cook meals and stay warm outdoors. 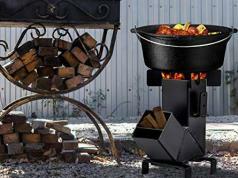 You can use it to grill, sear, fry, smoke, and steam your food. 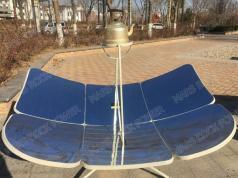 It is made from heavy gauge steel, powder coated with stainless steel fasteners. KUDU is currently getting funded on Kickstarter.